This chapter presents the iSPOTS project, which collects and maps data of WiFi usage on the Massachusetts Institute of Technology campus in Cambridge, Boston. Instead of simply mapping the locations of WiFi availability, the project is possibly the first to use and analyze log files from the Institute’s Internet service provider and to produce spatial visualizations of the observed activity in real time. The aim is to create a better understanding of the daily working and living patterns of the MIT academic community, which changes due to the emergence of WiFi itself. The MIT wireless IEEE 802.11 network, consisting of 3,000 access points (one of the largest of its kind) offers a privileged environment for this research and, in perspective, can provide a test bed for entire cities. A series of campus-wide WiFi studies during early 2000 has paralleled the ongoing transition from fixed wire accessibility to ubiquitous WiFi environment. Some of the most comprehensive of these studies were done in Dartmouth College (Henderson, Kotz & Abyzov 2004, Kotz & Essien 2002, Kotz & Essien 2005). Within the past years the usage of campus WiFi has increased as more people have adopted WiFi-enabled laptops, as well as other WiFi clients such as PDAs and VoIP devices. However, the proportion of WiFi users at popular buildings, in libraries and classrooms appeared to be consistent from the years 2001 to 2004. A similar pattern of preferred WiFi location usage was observed at the University of Saskatchewan in Canada (Schwab & Bunt 2004). The evidence from these studies was inconclusive regarding types of Internet based activities the users engaged in at these locations. An earlier study at Stanford (Tang & Baker 2002) found that the activities performed while connected to the wireless network varied from person to person, involving both work and leisure communication activities (email and instant messaging). At the University of North Carolina, Chinchilla, Lindsey & Papadopouli (2004) found that users accessed similar web content regardless of their location. WiFi Hotspot: An area around an Internet access point where people can connect to the Internet through their wireless communication devices. 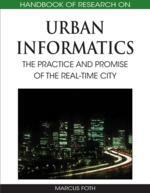 Urban Dynamics: A description of the changing movements of people, objects and information in a city. Real-Time Map: Instantaneous and dynamic visualization of an environment. Wireless Mapping: Graphic representation of digital activities in a wireless communication network.